We have a fully trained, experienced service department ready to handle all of your service needs. Whether you need a simple service or a new laptop, our trained technicians will get your system fixed. 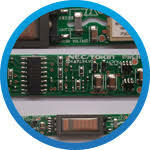 We have been in the pc repair and service business since 1989. Complete Professional and Inexpensive Onsite and Workshop Laptop Services including PC Repairs servicing 5km's around North Lakes for Residential and Business Users 7 Days a Week. 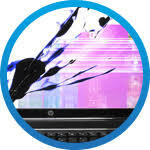 Book your laptop in for a service or repair by qualified professionals. Professional service department ready to determine what is required and cost. Experienced service people ready to have your laptop completed fast. Our screen replacement services are done in-house for pc laptops and take 2-3 working days as long as our supplier has stock. Apple Laptops usually take 5-7 working days as we need to send them to our supplier for fitting due to warranty of the screens. Apple are stopping all third party repairers from offering any type of hardware repairs. 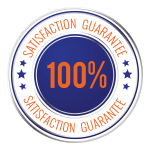 We cannot buy any parts other than HDD and Ram to do in-house as well as offering Screen Replacement services through our supplier. All other services can either be done same day or within 2 working days if we need to order in stock i.e. Ram. Harddrive etc. Technogeek offers professional laptop repair services at our workshop in Kallangur. The high level of customer and repair services has allowed us to serve thousands of clients.